Vegan Diet has many followers. Followers of this method are called Veganism. This community has gone a long way. This method was once used by the peace-loving community. The community has not consumed animal foods for years. There are many famous personalities who are leaders of the community. You should know the things you will face before eating foods without milk, meat, and eggs. This article discusses what you expect when you go on this diet. This is a natural vitamin that only exists in animal foods so you should take supplements to meet your body needs. Vitamin B12 serves to maintain the health of body cells and nerves. This vitamin can help to make DNA. If you are deprived of this vitamin, then you will experience depression, nervous problems, weight loss, constipation, weakness, and fatigue. Iron has two forms called non-heme and heme. Heme contains 40% iron from animal foods and can be absorbed by the body easily. 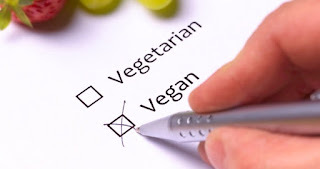 Vegetarian food does not have heme. The food contains only non-heme. This is iron that cannot be absorbed easily so you need a supplement to get these benefits. Doctors say that a good source of iron for vegans is dark green vegetables, dried raisins, sunflower seeds and peas. You can also eat foods with high vitamin C content to absorb iron well. These foods are broccoli, orange, and red pepper. Everyone will be sensitive when talking about diet. This is because everyone has their own trust. You should avoid conflict by saying that being vegetarian is a personal decision and not related to others. Vegan diets say that your diet should contain protein. Protein is the builder of your life. Proteins may turn into amino acids. Protein can improve and promote cell growth. Adults should get 0.8 grams of protein every day. The best protein sources for vegans are quinoa, nuts, lentils, and natural soybeans. You should not exchange meat with pasta or white bread. Food packaging will not make this diet work well. Changing animal products with packaged food is a bad idea. Animal products contain minerals, vitamins, and proteins. Packaged foods provide little nutrition. These foods only provide calories for you. If you eat junk food, then your mood will turn worse. That's the prohibition for the Vegan Diet.